One of the government’s mandate is to ensure that every Guyanese receives a good life, to this end, the administration’s initiative of taking its service to the citizens across the administrative regions has been effective in addressing issues. On Tuesday, a grand outreach was held at the University of Guyana’s Tain Campus where several persons took advantage of the opportunity to relate matters of concern to several agencies and government ministries. The Department of Public Information (DPI) spoke to some of the residents who were very appreciative of the government’s efforts to meet them in order to seek resolution to their concerns. “I came here today to deal with the issue about acquiring a piece of land I had applied for years ago. I was informed which documents I would need to move the process forward which was very useful because it has been a long time ago,” Kenneth Balwatt said. 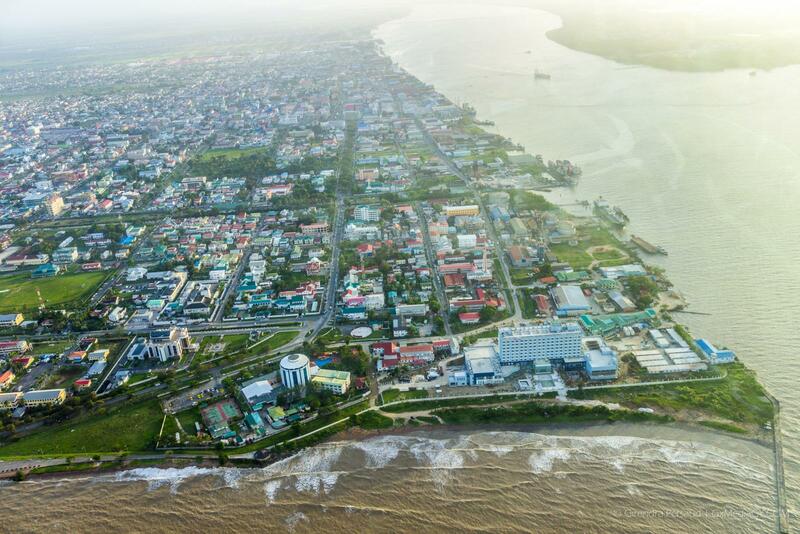 Commissioner of the Guyana Lands and Surveys Commission, Trevor Benn stated that his team is prepared to provide the public with the necessary information and work to solve their matters. 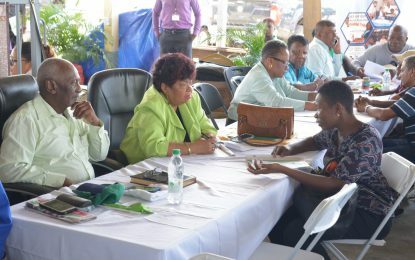 “When persons are visiting our booth, we would like to encourage them to walk with the right documents to properly address their issues relating to the lands and survey department,” Benn noted. Resident of number 19 Village, Berbice, Rajendranauth Kelanauth expressed his satisfaction with the outreach exercise at UG, Tain Campus, Berbice. Residents gathered at the Ministry of Communities booth at UG, Tain Campus, Berbice. Commissioner of Guyana Lands and Surveys Commission interacts with persons at the outreach exercise. Person speaking with employees of the Guyana Water Incorporated (GWI).